While you’re out searching for the perfect back-to-school backpack for your child, the more important consideration other than style, size, and color should be — what can happen if a dishonest person gets a hold of it? The things your child carries in his or her backpack can become a huge financial headache if they fall into the wrong hands. With identity-related crimes at historic levels, the odds are better than ever that a dishonest person will know the basics of taking advantage of the kinds of personally identifiable information, sensitive data (like passwords and credit card numbers), and the many other keys to your household economy that can lurk in your child’s backpack. Here’s a short list of what a relatively creative thief might find in your child’s backpack, and what you can do to prevent the worst from happening. While obvious to you (hopefully), does your child understand the serious potential for disaster that a walk-about smartphone can bring to your doorstep? It can be as simple as a scammer dialing 611 and ordering new services. Chances are good that there’s enough information in your child’s backpack for a motivated thief to get your name and thus the keys to your telephonic kingdom. But there are other identity indignities that can be done. Many people store user name and password information on the Notes app of their phones. The Notes may contain other informational cracks and crevices as well and open up unsuspecting third parties — relatives and friends — to scams. Email scams, grandparent scams, an iTunes or apps shopping spree, malware installation — so many tidbits to exploit. 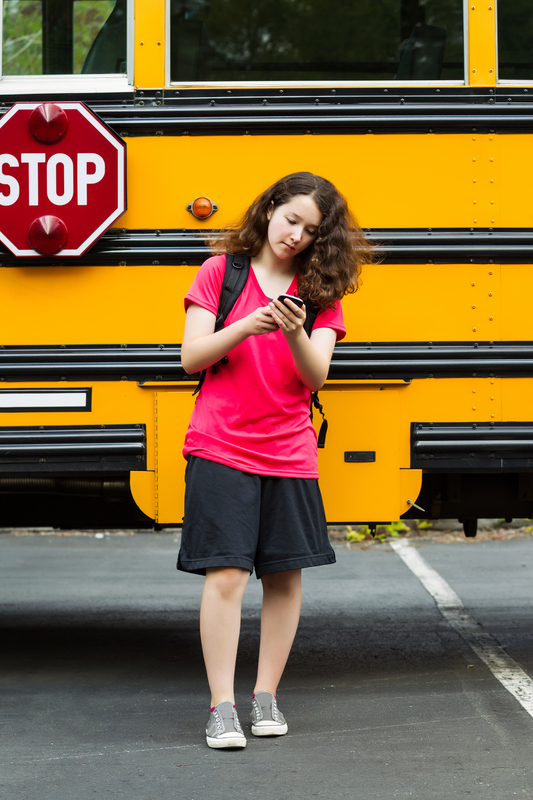 What to do: Talk to your kids about the dangers of an unsecured phone and discuss basic data storage details with them — like what information shouldn’t be on their phones. Is the phone locked with a passcode? It should be! Also have them set strong (think creatively alpha-numeric) passwords, and a Find Me app to erase the contents should the device fall into the wrong hands. You don’t need to be a movie buff to know that a computer is a dangerous thing in the wrong hands. Most issues associated with a lost phone come to bear here as well. Emails can be sent to relatives or strangers in the service of stealing money or wreaking havoc. Beyond the irresistible cornucopia of files that may well be saved on the device, email is a treasure trove of personally identifiable information — everything from credit card numbers to more data like name, address, email addresses and birthdays — pieces of a puzzle that can be assembled to present a believable story to a customer service representative and then steal valuable goods and services, or used as a fly trap to accumulate even more personally identifiable information. Does your child have access to your Netflix account? How about Amazon or iTunes? Where else have they gone in cyberspace that might have their information — or yours? Open social media sites that are set to login automatically afford a wide vista of scamming opportunities too. What to do: Make sure your child gets into the habit of logging out of all their online accounts, and that they don’t store sensitive information on their laptops. Talk to them about the wisdom of not saving user ID and password information, and how to make a good one. Finally, have your child set a password — shared with you — to protect their device against the wrong person accessing it. So, this is pretty straightforward: If your child uses a karabiner to attach his or her keys to their backpack, you’ve got a potential robbery waiting to happen. Additionally, there are apps that can allow a fraudster (as well as a person who might want to use the app to avoid unnecessary inconvenience) to make a copy of a key that a locksmith can duplicate. What to do: Tell your child to keep the keys to your home in their pocket rather than on their back. Playstation Vita is a popular gaming device — and not the only device that could cause you a world of woe should it fall into the wrong hands — but we’ll single it out for the sake of illustration. The good news: Your personally identifiable information is safe even if someone grabs the device, because it’s password-protected and associated with your gamer’s access to the network. That doesn’t mean that a bad player can’t do some damage. First, they can play games and wreck your child’s sterling reputation in the community. Worse: Whoever has that device can buy games and run up a hefty bill. One-click purchased games are something any malicious third party can rack up in the way of a very expensive just-because crime. What to do: Have your child set a passcode for access to the device and make sure they share it with you. When it comes to data security, best practices are universal. It’s your job to pass on what your kids need to know to stay safe and keep your family out of the crosshairs of ID theft. This entry was posted in Financial Literacy and Finances for Children and Teens, Preventing Identity Theft and tagged First Financial Federal Credit Union, Identity Theft Prevention, Monmouth and Ocean Counties, Preventing Identity Theft by VP of Marketing and Business Development Jessica. Bookmark the permalink.